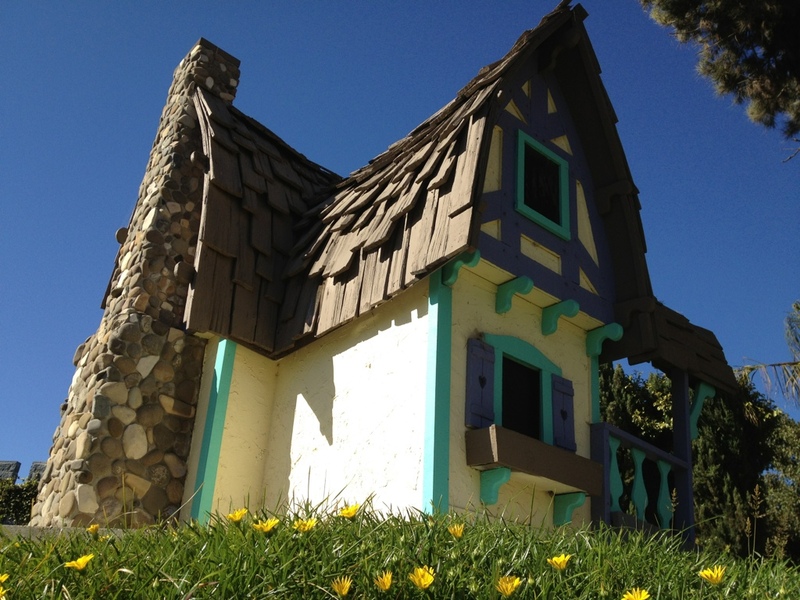 This is one of the miniature houses featured at Boomers miniature golf course in Santa Maria, CA. Cheap and a tad run down in parts, Boomers of Santa Maria is still a great place to stop on your trip North or South on the 101 with the kids. I took this picture with my iPhone 4S. From this angle it looks like something out of a fairy tale.